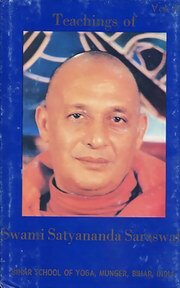 Early Teachings contains satsangs and talks along with meditation practices as taught by Swami Satyananda at Bihar School of Yoga. The theory and practice of trataka, chidakasha, dharana, japa, ajapa japa, prana vidya and pranic healing are given here. Other topics include: aura, astrology, death, nature of god, education and anarchy, Kali, kundalini and the unconscious, unrecorded life of Christ in India, samadhi and psychic breathing, world brotherhood and bhakti yoga, Sanskrit and ethics, Gita, ahimsa and criminals, karma and destiny, seclusion, sleep and others. 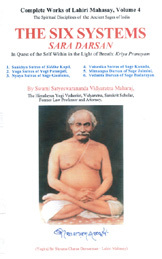 Volume 4 topics include: the spontaneous awareness of consciousness, the withdrawal and expansion of consciousness, the relationship between the mind and senses, kriya yoga, kundalini yoga and tantra, guru and spiritual life, how to use a mantra, pain and pleasure, how to progress in yoga, solutions to the human spiritual crisis, the will of God, breaking through illusions and many more.